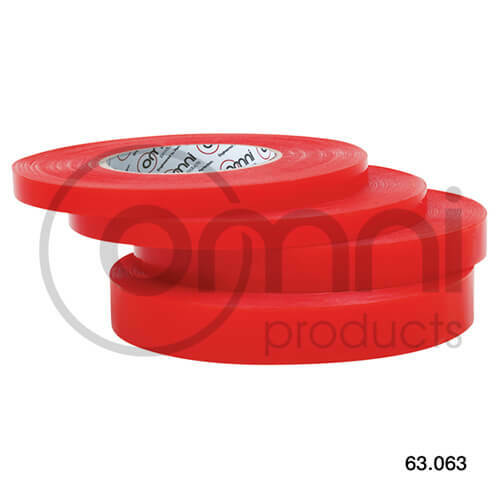 The Omni high-performance Double Sided Polyester Tape has excellent adhesion and holding power with a clear polyester filmic liner. The tape offers a secure, reliable and outstanding bonding solution. It is resistant to humidity, water, moisture, elevated temperatures, difficult substrates and UV rays. The tape is perfect for application on glass, signage, displays and graphics. It is also used in several industries such as furnishings, automotive, rail, printing, retail, marine electronic industry and various others. The Omni Double Sided Polyester Tape is super thin while also being a flexible carrier and can be used on both smooth and rough surfaces. The Modified Acrylic adhesive used in the tape makes it ideal for bonding with LSE substrates and even textured surfaces. The tape is also ageing-resistant making it highly durable and enabling its use for an extended period of time, without having to change it after short intervals. Its production from thin film provides it with greater advantage compared to the other tapes as it can be easily used for pasting signage and other items on surfaces without leaving much gap. Taking into account the various requirements of our customers, Omni offers custom slit sizing as well as custom width options.